Red Bud is blooming with lots! 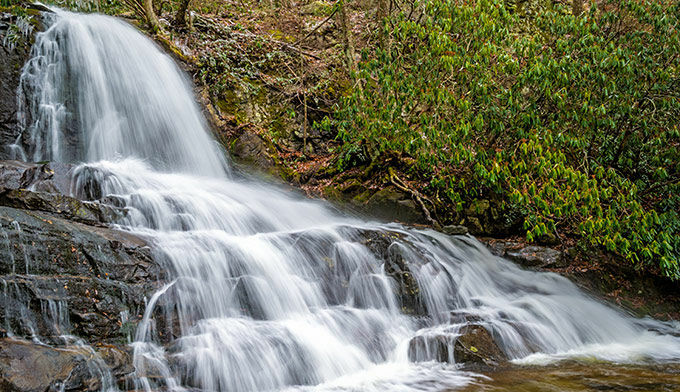 Enjoy the rivers, streams and waterfalls in the Smokies all year! 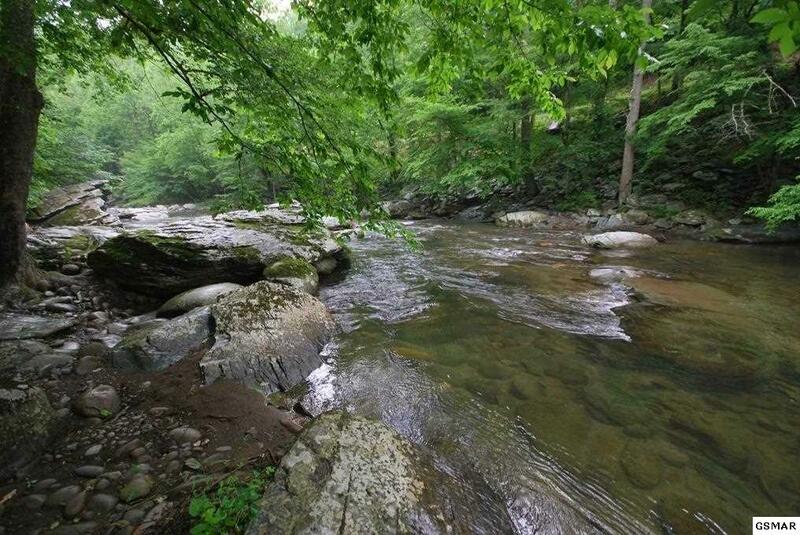 There are over 2900 miles of rivers and creeks in the Smoky Mountains. The first thing most folks think of are the mountains, but what would the Smokies be without the streams and waterfalls? There are lots of ways to enjoy the water in the park. There are more than 100 prominent waterfalls and cascades within the park boundaries. Many are only a short hike away. Our own agent Keith Garnes is an expert on waterfalls if you would like to know how to get to any of them. 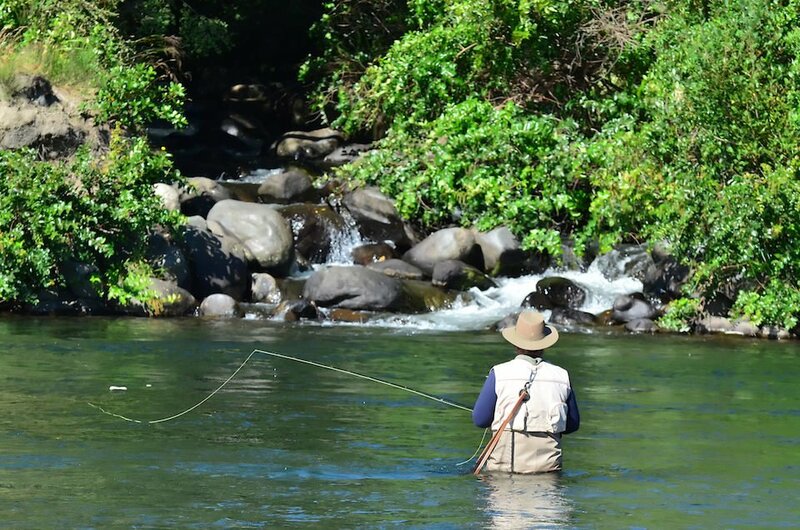 You can fish for trout all year in the Smokies. The park offers a wide variety of angling experiences from remote, headwater trout streams to large, cool water smallmouth bass streams. 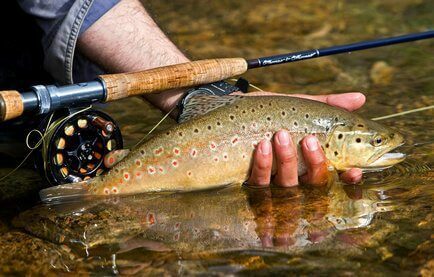 Most streams remain at or near their carrying capacity of fish and offer a great opportunity to catch these species throughout the year. 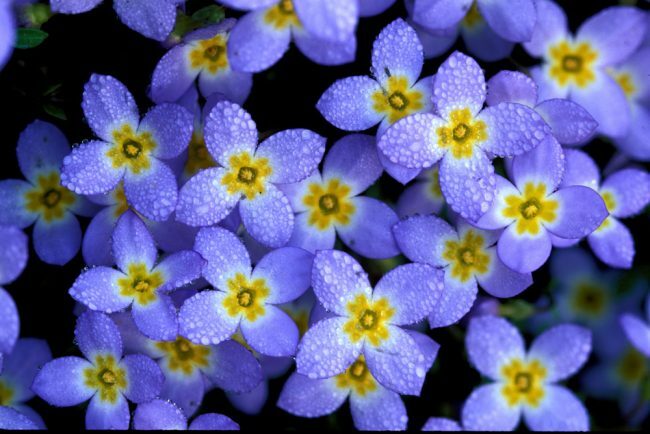 Spring is awakening here in the Smokies. There are so many things to see and do in Gatlinburg, Pigeon Forge and Sevierville. 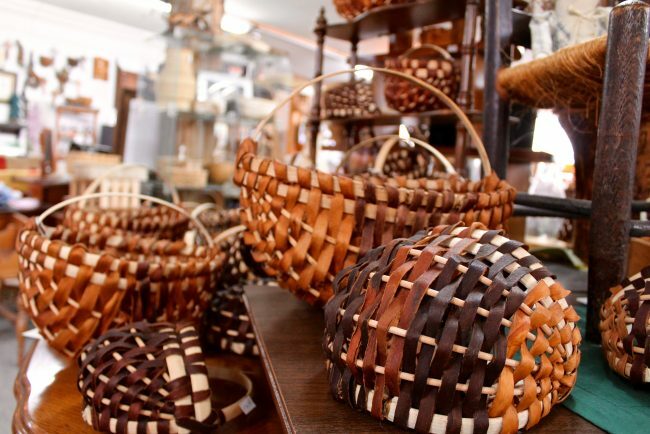 Gatlinburg is home to the historic Great Smoky Mountain Arts & Craft Community, the largest group in North America of the independent artisans. 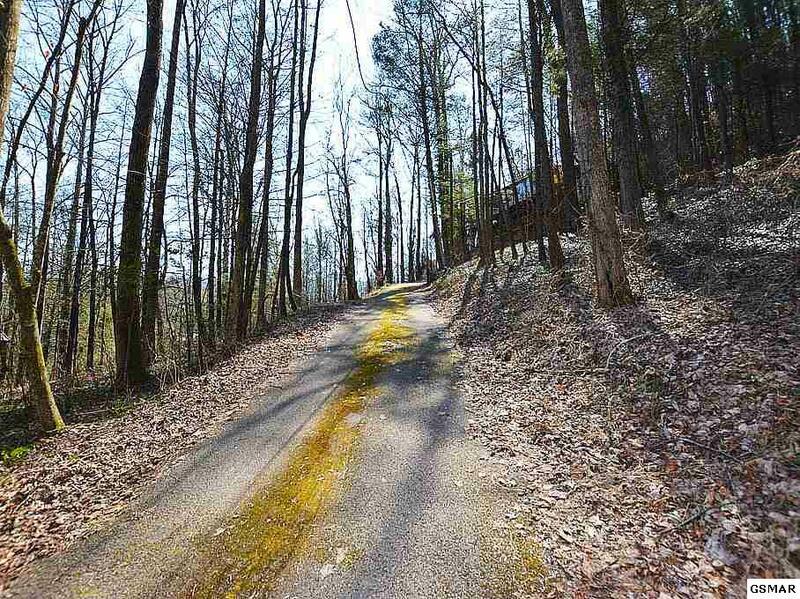 The Historic 8-mile loop has been designated Tennessee Heritage Arts & Crafts Trail, which was established in 1937. Here in this community you will find artisans that whittle, paint, sew, cast, weave and carve to create original collectibles such as candles, baskets, quilts, brooms, pottery, jewelry, dolls, ceramics, scrimshaw, silver smithing, leather, stained glass, wearable clothing, photography, frameable art, and much, much more. The Tennessee Heritage Trail has been established by the State in order to highlight the cultural heritage of our people. If Arts & Crafts are not your thing, and you are a nature lover, there numerous hiking trails and waterfalls to experience from an easy level to the most difficult rating. 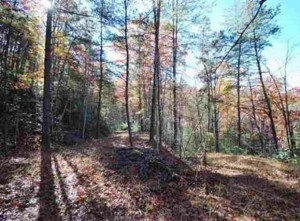 Visit the website for full details on Gatlinburg hiking trails: www.hikinginthesmokys.com. Come and enjoy all that the Great Smokies has to offer. While you are here, check out all the great properties that The Jason White Team has available. Here are a couple of our new Listings. 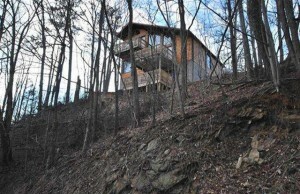 Located at 221 Chimney Tops Way, Gatlinburg. 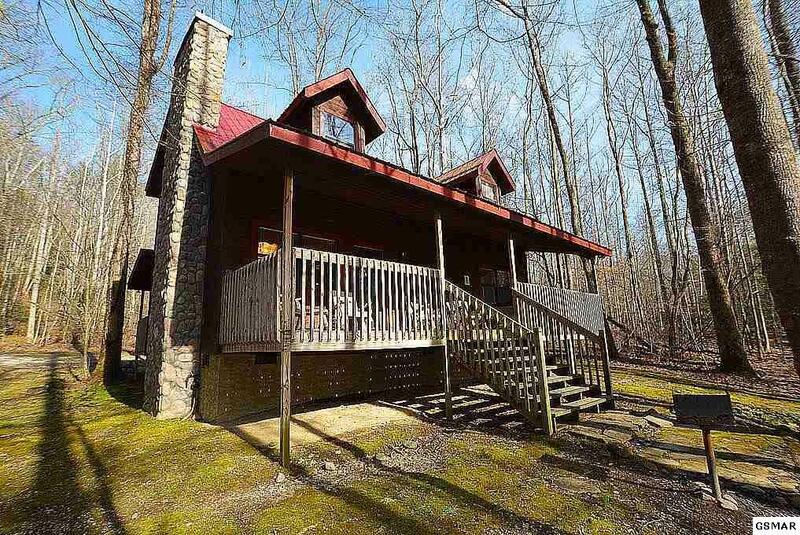 This beautifully-built 2BR 2BA log cabin is only minutes to downtown Gatlinburg. This cabine has generated near or above $30K in consistent rental income each of the past 3 years. Interior has a large living/dinning room combo w/high vaulted ceilings, full kitchen and a private BD on each level complete w/private BA and closet space. 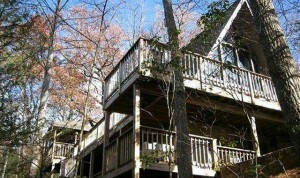 There are two full level decks as well as a unfinished day-light basement with a separate entrance. 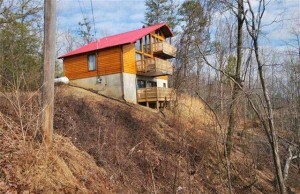 Located at 1020 Vista Drive, Gatlinburg. Private log-style cabin with 2 BD/2BA 1,200+ sq ft with incredible views of Mt. LeConte and the Smokies. This cabin has generated over $24K in rental income since May 2015. Inside the home there is a large, open great room with a full kitchen and vaulted ceilings. Home has a partial wraparound deck complete with a hot tub, where you can sit and enjoy the the amazing views. Only mins to dwtn. 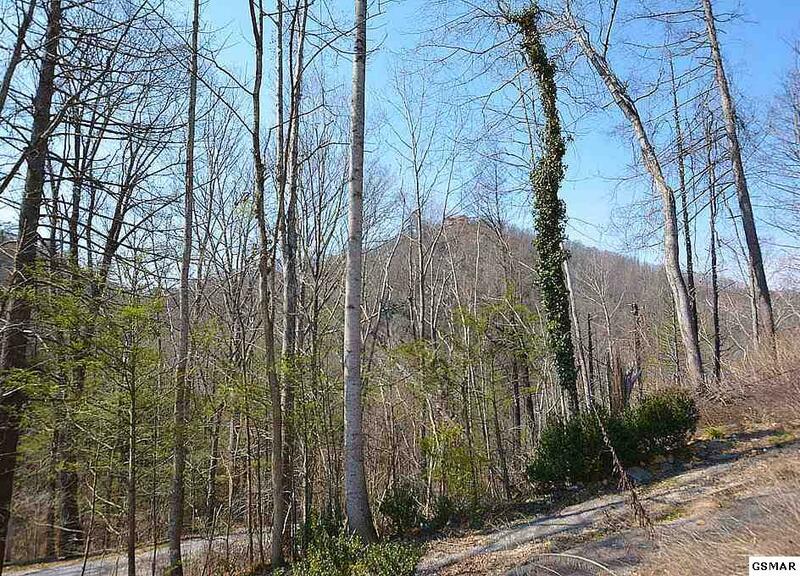 Gatlinburg, the Nat’l Park and many attractions. Big Springtime Events in Sevier County This Weekend! This weekend, there are a multitude of events taking place in Sevier County, just in time for the heart of the Spring season, right here in the beautiful Great Smoky Mountains! Here are just a few of these many exciting events going on this weekend! One great event that happens this time every year is the Pigeon Forge Spring Rod Run, which is set to take place at the LeConte Center in Pigeon Forge, from this Friday, April 11th, until this Sunday, April 13th. This annual event brings in many unique and different types of classic automobiles from all over the country. Many collectors and participants always attend from many different locations, and are a part of this greatly featured event. For more information on this event, please check out their website to learn more! Another great event taking place this weekend is happening right here in Gatlinburg, on this Saturday, April 12th, from 1-6 PM on the Plaza at Ripley’s Aquarium of the Smokies. In addition, there will also be the Wine, Dine and Art Crawl on Friday, April 11th, from 5-9 PM. The Friday event will be in the Great Smoky Arts and Crafts Community part of Gatlinburg, where there will be a private, guided tour of participating galleries, featuring local art of all varieties, along with enjoying local wines and hors d’oeuvres from local restaurants. At the end of the tour, you will also get to enjoy a wonderful dinner at one of Gatlinburg’s most unique eating establishments. For Saturday, you will be able to enjoy different wines from all over Tennessee. For more information on these events, please go to the City of Gatlinburg website to find out more! A great event this Saturday in Sevierville is the Easter Egg Hunt in Downtown Sevierville, located in historic downtown Sevierville along Bruce Street. You can take photos with the Easter Bunny, hunt for eggs & much more! This is definitely a event for the whole family to enjoy and take part in! For more information, please visit the event’s website to find out more! One additional event going on is the 5th Annual Buy Local Yard Sale, which will be set up inside the Exhibit Hall at the Sevier County Fairgrounds on Saturday, April 12th, from 9 AM-5 PM. All proceeds will go to benefit the Sevier County Humane Society, and is a great way to help and give back to our local community. For more information on this event, please go to the Sevier County Fairgrounds website to find out more! Events such as these, along with many, many more things to do and see, are why the Great Smoky Mountains are a wonderful place to live, work, and/or play! Whether you are a visitor or have been a resident your whole life, the Smokies are a very special and unique place for people of all ages to enjoy. Why not see what else the Smokies can offer you today? Please feel free to browse our Featured Properties, and see what The Jason White Team can do for your home ownership needs today! Celebrating Valentine’s Day in the Smokies! 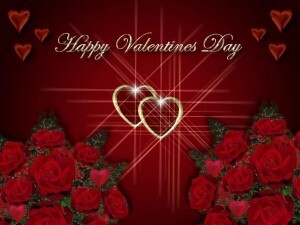 During this month of February, Valentine’s Day is celebrated on February 14, 2014, which will be coming up this Friday. Here in the Great Smoky Mountains, there are a number of activities and events going on in and around the area, for both you and your significant other to enjoy! Many local area restaurants will have Valentine’s Day events and themes, including that of The Old Mill Restaurant and The Old Mill Pottery House and Cafe, in Pigeon Forge, on Friday evening, featuring a “Valentine’s Day Dinner for Two” menu at both restaurant locations, with live music being featured at the Poterry House and Cafe. For more information on The Old Mill Restaurant and The Old Mill Pottery House and Cafe, as well as for contacting either restaurant, please click here. In addition, there are local attractions that are offering Valentine’s Day specials, including of Ripley’s Believe or Not Museum in downtown Gatlinburg. Ripley’s will be offering a “2 for $20” special for Valentine’s Day Only, where this offer can be honored at the ticket counter on Valentine’s Day (February 14th), or can be done online between February 12-14. For more on this offer, please visit Ripley’s at their website. 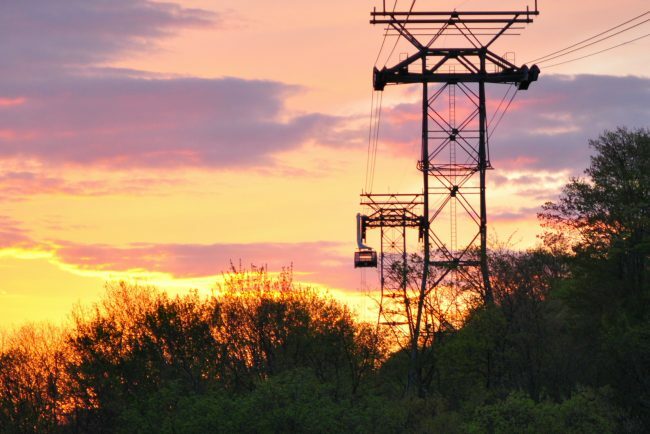 The Ober Gatlinburg Ski Resort is also offering its Valentine’s Day at Ober Gatlinburg packages, including dinner at the Seasons Restaurant at Ober Gatlinburg, with two different packages to choose from! 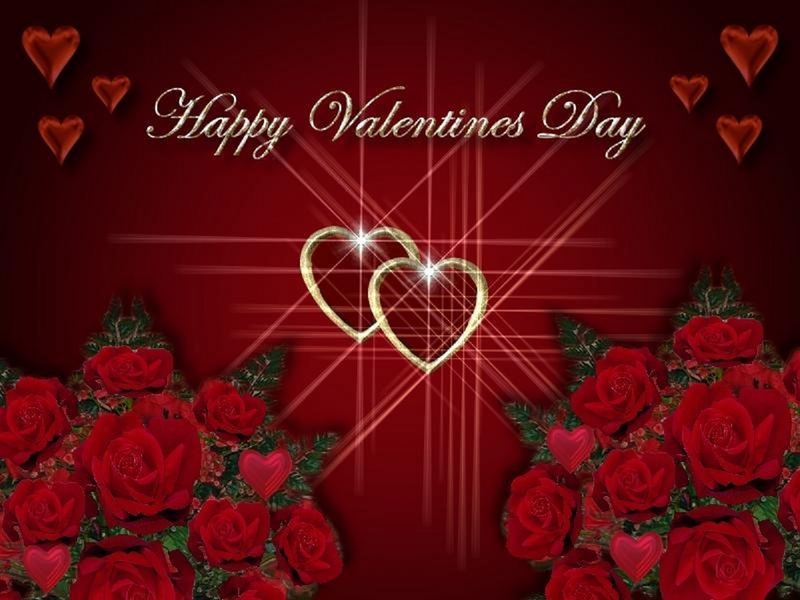 For more information on these Valentine’s Day packages offered by Ober Gatlinburg Ski Resort, please click here, as well as to find out more about Ober Gatlinburg Ski Resort and its many events, activities, and much, much more. Occasions like Valentine’s Day bring many people to our area to enjoy the splendor and majesty of the Great Smoky Mountains. Why not see what else the Smokies can offer you today? Please feel free to browse our Featured Properties today, and see how The Jason White Team can help you realize your home ownership dreams, right here in the Smokies! Happy New Year From The Jason White Team! From all of us with The Jason White Team, as well as Century 21 Four Seasons Realty here in Gatlinburg, we want to wish everyone a Happy and Prosperous New Year! We hope that 2014 is a great year for everyone! One of this area’s most featured and celebrated events takes place on New Year’s Eve, right here in Gatlinburg! The 26th Annual New Year’s Eve Ball Drop and Fireworks Show around the intersection of the Parkway (U.S. 441) and the Historic Nature Trail at the base of Space Needle in downtown Gatlinburg is always a well-attended event. At the stroke of midnight on December 31, 2013, fireworks will blast off the rooftop of the 400-foot tall Space Needle with music choreographed for the show produced by Pyro-Shows of LaFollette, Tennessee. The Space Needle has added sequencing LED lights to the tower, making for a spectacular display. Leading up to midnight, there will be free music and entertainment in the parking lot adjacent to the Gatlinburg Convention Center, and much, much more!!! For more information on this event, please go to http://www.gatlinburg.com/events/details.aspx?id=117. While enjoying the New Year here in the Great Smoky Mountains, why not see what else the Smokies can offer you? Please feel free to browse our available properties today, and see how we can help make your home ownership dreams a reality! Happy New Year to all, and may your 2014 be a great and prosperous year! Happy Holidays From The Jason White Team! From all of us here at The Jason White Team, as well as Century 21 Four Seasons Realty here in Gatlinburg, we want to wish all of you a very Happy Holidays! There are plenty of Christmas-related events going on in the area during the holidays, including Gatlinburg Winter Magic, where the City of Gatlinburg lights up every night during the holiday season, featuring millions of lights in all kinds of holiday-themed displays. One look around Gatlinburg at night will show this truly wonderful sight. For more information on this and other holiday-related events in and around the area, please visit http://www.gatlinburg.com. In addition, there are also other events going on in and around Sevier County, including Winterfest in Pigeon Forge, with events taking place from now through February 28, 2014. For more information on Pigeon Forge-related events, please visit http://www.pigeonforgewinterfest.com. Finally, in the Sevierville area, please visit their website at http://www.visitsevierville.com/winterfest.aspx for more details and information as to Sevierville’s events during this holiday season. While here in the Smokies during this wonderful holiday season, why not see what else the Smokies can offer you? Please feel free to browse our available properties today, and see how we can help you realize your dreams of home ownership! May you and your families, friends, and neighbors have a wonderful holiday season! 3rd Annual Santa Hustle Half Marathon and 5K Run/Walk This Weekend in Sevierville! One of the many wonderful features of the Great Smoky Mountains deals with the many variety of holiday-related events and activities that go on during the Christmas season, and this weekend is no exception! On Sunday, December 15th, the 3rd Annual Santa Hustle Half Marathon and 5K Run/Walk is being held in Sevierville, at the Wilderness Resort, starting at 7:30 AM. This event is growing fast, and has gained considerable attention in the brief time that this event has been held. As a part of this event, every participant will receive a free Santa hat, beard, and customized Santa shirt to wear while running. In addition, there will be outrageous holiday decorations, festive music, and a large after party. People everywhere have fallen in love with the race that encourages its participants to have fun while staying healthy. Furthermore, the Santa Hustle has received national attention from major media outlets like the Travel Channel, ESPN, and the Rachel Ray Show. The Santa Hustle Race is a part of a major nationwide series during the Christmas season, consisting of 6 races in the cities of Chicago, IL, Milwaukee, WI, Sevierville, TN, Indianapolis, IN, Sandusky, OH, and Galveston, TX. Come and be a part of thousands of Santa’s running across the nation! It’s fun for the whole family! For more information on this growing event, please visit the event website at http://santahustle.com/smokies, to find out more about the event, how to register, and what is involved in participating in this unique and festive holiday event. Events such as these help to make the Great Smoky Mountains such a unique place for people from all over the country. Why not see what else the Smokies can offer you today? Please feel free to browse our available properties, and see how we can help you realize your home ownership dreams today! Happy Thanksgiving From The Jason White Team! We want to take this opportunity to wish everyone a safe and happy Thanksgiving holiday! There are many, many great events currently going on during the Thanksgiving holiday and weekend here in the Great Smoky Mountains, especially right here in Sevier County! In Gatlinburg, you have the Festival of Trees, which lasts until Saturday, November 30th, where the local area stores and shops are lined with Christmas trees, as well as the many, many twinkling lights, for people coming to visit and shop in the Gatlinburg area. There is also the Great Smoky Thanksgiving Arts and Crafts Show, which lasts until Sunday, December 1st, and many, many great events celebrating the holiday season! 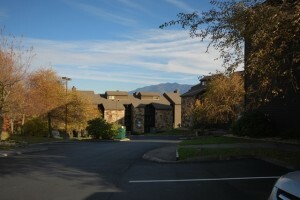 For more information, please visit http://www.gatlinburg.com/events/fall.aspx. In addition, there are also a myriad of events planned for the Pigeon Forge and Sevierville, as well as other surrounding areas, including, but not excluded to, the 2nd Annual Titanic Attraction Thanksgiving Fireworks Display, at the Titanic Museum Attraction in Pigeon Forge, on November 28th at 7:30 PM. For more information on this display, please visit http://www.titanicpigeonforge.com. For more on Pigeon Forge events, please go to http://www.pigeonforge.com/Events-Calendar. For more on Sevierville-area events during the holidays, please go to http://www.visitsevierville.com/vsevents.aspx. All of these great events during the holidays bring thousands of people to our area every year, and in doing so, people see the wonder and majesty of the Great Smoky Mountains during a wonderful time of the year. Why not also see what else the Smokies can offer you during this season while here? There are many great properties still available, so please feel free to browse our available properties, and see how we can help you realize your home ownership dreams today! Have a Great Thanksgiving, and enjoy your time with friends and family! Winterfest Kicks Into High Gear in Sevier County From Now Through Christmas and New Year’s! With the first dusting of snow in the Great Smoky Mountains this week, now is a great time to see the Smokies in all of its late fall and early winter glory! The Annual Winterfest is just starting up throughout Sevier County, and many events are about to begin, which will showcase the Great Smoky Mountain area in all of its wonder and glory. One event about to begin in Gatlinburg itself is the Annual Gatlinburg Winter Magic Trolley of Lights, which actually starts this week, and goes through until January 25, 2014. Visitors can soak up the spirit of the Gatlinburg Winter Magic season from the comfort of a Gatlinburg Trolley by taking the relaxing Trolley Ride of Lights. The specially designated trolleys carry their guests on a memorable journey through downtown and adjacent Hwy. 321, allowing everyone to experience the magical wonder of Gatlinburg Winter Magic. Displays featuring animals indigenous to Great Smoky Mountains National Park including deer, foxes, squirrels and rabbits are part of the program. Trolley times in Gatlinburg are at 6:30, 7:30 and 8:30 each evening, respectively. For more information, please go to http://www.gatlinburg.com/events/details.aspx?id=13. Other Gatlinburg-area events during this season include the Festival of Trees, which is scheduled during the Thanksgiving holiday week, as well as the Great Smoky Thanksgiving Arts and Crafts Show, Gatlinburg Winter Magic, which starts on December 1 and lasts through February, and much, much more! For more information, please go to http://www.gatlinburg.com/events/winter.aspx. There are also many great events in and around Sevier County, especially in Pigeon Forge and Sevierville, which also feature well-known light displays and events centered around the upcoming holiday season. For more information on Pigeon Forge Winterfest events, please go to http://www.mypigeonforge.com/events/winterfest. For more information on Sevierville’s events during the holidays, please go to http://www.visitsevierville.com/winterfest.aspx. Events such as these are among the many reasons why the Smokies are a wonderful place to come during the Thanksgiving, Christmas, and New Year’s holidays. Why not also see what else the Smokies can offer you during this late fall and early winter season? 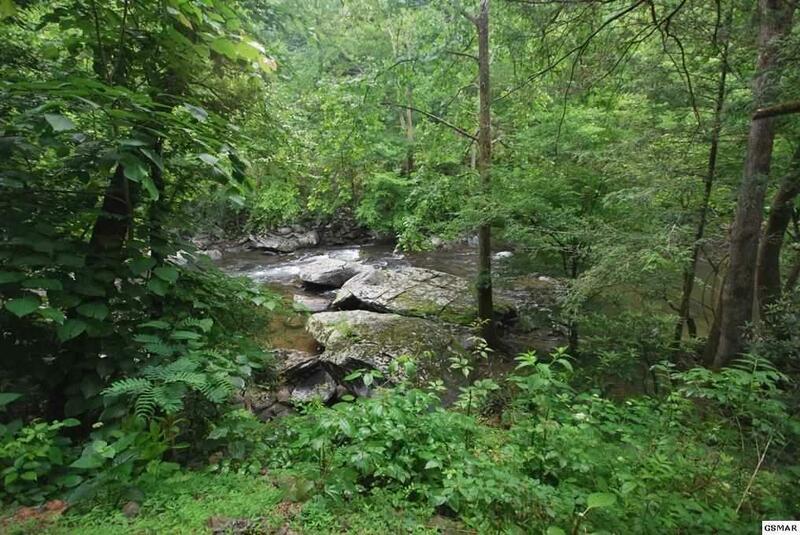 There are many great properties still available in the area, so please feel free to browse our available properties, and see what is possible for your home ownership dreams today, right here in the Great Smoky Mountains!